The Panasonic Link2Cell Bluetooth Enabled Phone KX-TG7875S is a home phone system that not only covers the responsibilities of a home phone, but also is an effective call blocker. 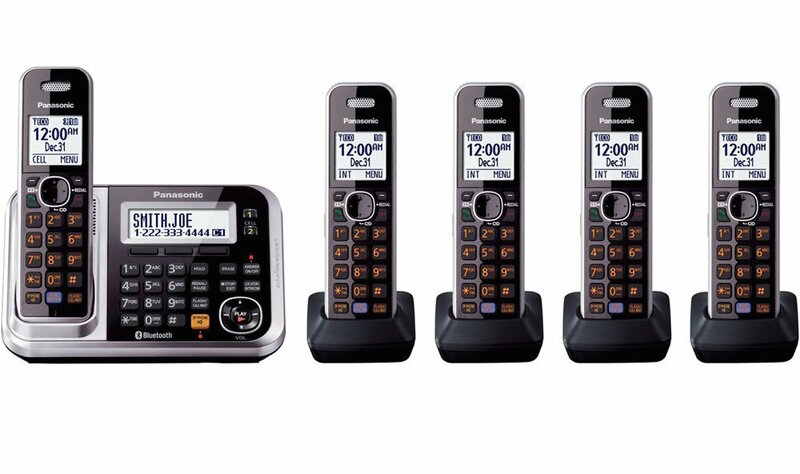 This system includes one answering machine, and 5 cordless handsets, and the ability to add one more handset to make a total of 6 wireless handsets available. This device also comes equipped with the ability to use Link2Cell; a system that allows customers cellphone to wirelessly connect to the home phone system through bluetooth, so the use can answer calls on their mobil device. 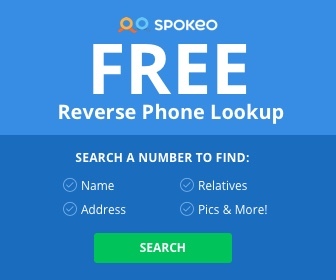 This device is also fitted with a “BLOCK CALLS” feature capable of blocking all unwanted calls from telemarketers, solicitors, credit card companies, political calls or any other type of unwanted callers. With the ability to block up to 250 different numbers this device virtually eliminates the need for a customer to purchase a different call blocker to block spam calls. The Panasonic Link2Cell Bluetooth enabled phone is also fitted with a feature called “no ring” which allows the user to set blocked numbers to never ring on the home phone, which allows for peace and quiet. This feature makes the device very worth while for customers experiencing frequent spam calls. Includes one voice mailbox, and 5 handheld devices, with the ability to add one more handheld device to a total of 6 devices. Handled devices are able to last up to 8 days on standby mode on a single charge, so users wont have to worry much about battery life. Ability to block up to 250 different numbers, without the needed addition of purchasing a different call blocker unit. With the ability to use the Link2Cell technology, users can answer home phone calls on their mobile device’s. Reports of customers having a difficult time using wireless earpieces, and the volume through the headsets was very quiet or muffled. Although the Bluetooth system has reports of working well customers complain that if they get in their car also using a bluetooth system there are difficulties connecting between the two devices if both devices are in range. Customers report a difficulty talking and communicating with the customer support line, customers would get frustrated trying to find a solution to a simple problem. The Panasonic Link2Cell Bluetooth Enabled Phone KX-TG7875S, Silver is a home phone system that not only covers the responsibilities of a home phone, but also is an effective call blocker. Users benefit from not only purchasing a home phone system but also an effective call blocker that has the ability to block up to 250 different numbers with a “BLOCK CALLS” button. There are thousands of reviews on the product proving that the device is well tested, most all of which are generally positive on the device and how it preforms. With the inclusion of the Link2Cell technology it makes this device very useful for users who are generally more inclined to use their cellular device, but also would like to have a home phone. Customers also were very happy with the way the “BLOCK CALLS’ function of the device worked. Users found the addition of “no ring” function especially useful because it allowed for peace and quiet from those spam calls. this device is highly recommended for someone who is wanting to buy a home phone system, but also doesn’t want to suffer through annoying spam calls.